SITRANS F M TRANSMAG 2 is a pulsed alternating field magnetic flow meter where the magnetic field strength is much higher than conventional DC pulsed magnetic flowmeters. Mining slurries with magnetic particles. TRANSMAG 2 is used with the SITRANS F M 911/E sensor, available with diameters of DN 15 to DN 1000. The pulsed alternating field technology gives a strong magnetic field, high excitation frequency and stable zero point. It is accurate and fast responding with a stable flow signal on heavy duty applications. It uses the SmartPLUG concept with all the calibration data and includes compensation for magnetic particles. A Magnetic Flow Meter with a Strong Magnetic Field for Media with a High Percentage of Solids. 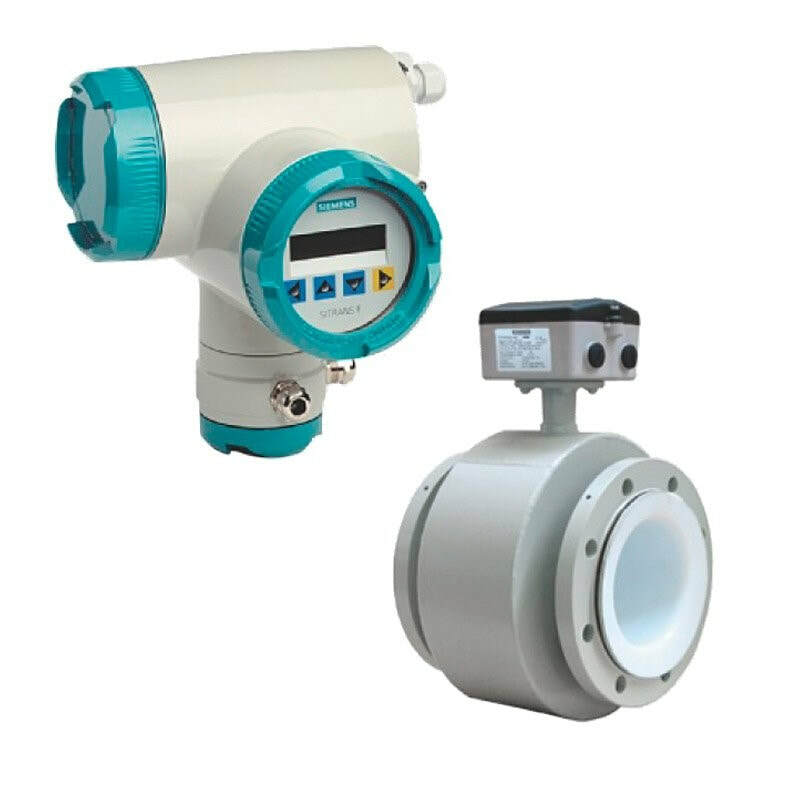 A high-powered flow meter consisting of the TRANSMAG 2 flow transmitter and 911/E flow sensor for special applications such as pulsating flow, media with low conductivity and a high percentage of solids.